The beginning of a new school year is always a hectic time. But, with a little strategic planning and our 30 organizational tips, teachers can start the year calm, cool, and organized. 1. Begin your classroom arrangement with large items of furniture such as large tables, bookcases, and file cabinets, because their placement will likely remain for the entire year. 2. Figure out the arrangement of student desks. Based on your teaching style, place desks facing front towards the main teaching area or clustered into small groups. However you decide, make sure that every student is visible from your desk and teaching area. 3. After large furniture pieces and student desks have been placed, map the layout of your classroom. Are the classroom calendar, class library, and portable teaching boards in the most convenient locations? Are the file cabinets close to your desk? 4. Determine what items should hang in the front of the classroom. Since students spend most of their time facing in this direction, be mindful about what you place on the walls. Daily schedule and class rules are good to be showcased here. 5. The hub of any classroom is the teacher’s desk. Arrange your desk to make it as clutter-free as possible. Use yours as the model and show students what good organizational skills look like. 6. Tackle the paperwork pile. Throw out unused materials. If you haven’t used an item for more than two years, then it’s probably a good indicator to let go of it. Be ruthless. 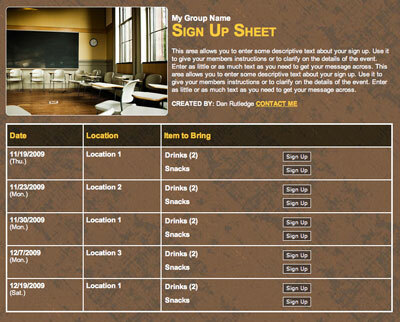 No sweat, no stress… use SignUpGenius for all of your school organizing! 7. Reduce hunting and gathering. Make a home for everything and label it. Start with one area and work your way around the classroom. 8. Organize resource materials by putting them in binders or bins, and color-code everything. Store items in labeled boxes, shelves, or containers. 9. Bins are your best friends. Use a variety of sizes to sort and store everything from folders, crafts, and miscellaneous learning materials. 10. Use zip-ties to secure multiple crates together to make a safe and easy storage system. 11. Class library should be organized in a logical manner. Sort books by genre, reading level, or alphabetical order. Divide books in your library using paint stirrers. Label the ends of stirrers for quick reference. 12. Clear walkways around the classroom, so students can easily move around between activities. This will also help in case of an emergency. 13. Check all computers and other technology devices. If they are not working as expected, turn in a repair request, so it will be working by the time students arrive. 14. Decorate the bulletin board. Decide how to organize pieces that will stay for a long time and those that will change on a regular basis. 15. Not every inch of your classroom walls need to be covered. For some kids, too much information can be distracting. Minimize cluttered walls and maximize functionality. 16. Hang classroom magazines in sheet protectors and secure them onto a curtain rod with shower curtain rings. 17. Organize your art and school supply bins. Take a photograph of them and post the photographs. Start a rule that kids cannot be dismissed until the bins look like they do in the photographs. 18. 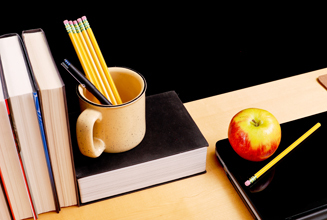 Keep sharpened and unsharpened pencils in separate jars or containers. Label them for easy accessibility for everyone in the classroom. 19. Closets are wonderful additions in a classroom. All too often, they become so packed you can’t find anything into them. Store small items in plastic containers and label all of your shelves. 20. Once you receive your student list, set up a system that allows you to easily access student records. Assign numbers to students. Have every student write his or her number on every assignment, project, and materials. Use their name and number when recording grades. 21. Read through student files to help determine placement in groups and activities. 22. Make copies of all worksheets that are needed for the first week of school. 23. 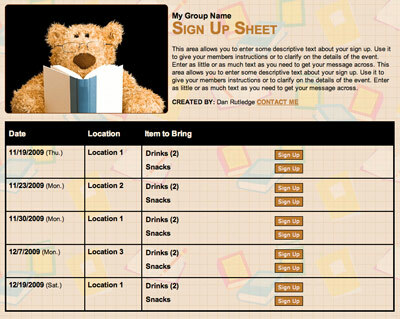 Provide a mailbox for each student to distribute weekly assignments and other important information. 24. Create nametags for students and their desks. 25. Decide how to welcome students and introduce them to rules and procedures. 26. Figure out icebreaker activities for the first day of school. 27. Arrive to school early. You will have time to gather your thoughts while getting comfortable in your room prior to student arrivals. 28. 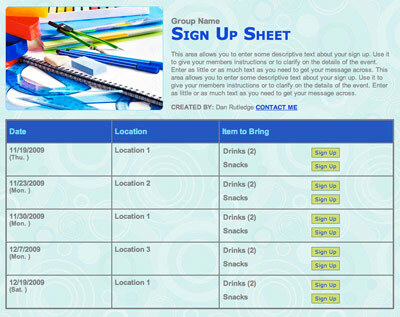 Recommend SignUpGenius to your Class Parent to organize parent volunteers for classroom involvement and school events. Recommend SignUpGenius to your room mom or dad... Check it out! 29. 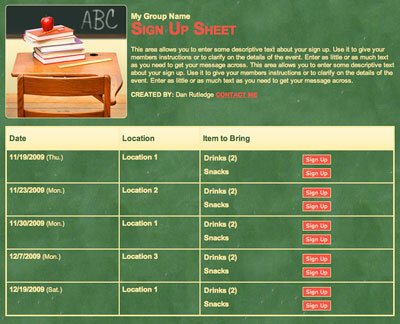 Use SignUpGenius to schedule parent-teacher conferences. 30. Create a classroom procedures list for substitutes. When you know you will be out, attach lesson plans to this important list and place into a substitute folder. Put these 30 tips to work and your stress level will reduce while your productivity will increase. Give you and your students an excellent start to a new school year. Sara Kendall Sara Kendall is a freelance writer and mom of two daughters. Parent Teacher Conference Scheduling is Easier Than Ever!